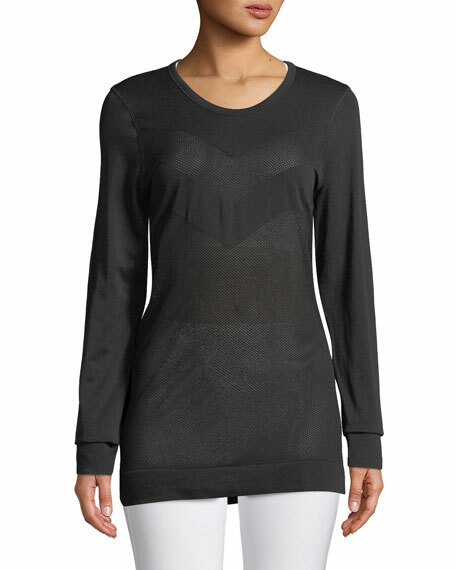 Varley "Kirby" top with mesh panels. California-based London natives Ben & Lara Mead intertwine the aesthetics of these two distinct places in their contemporary label, Varley. 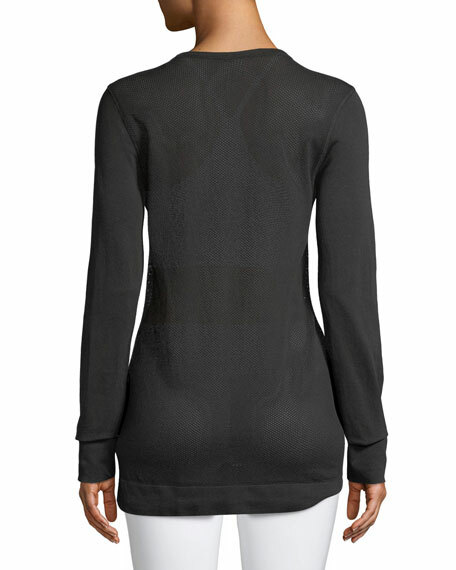 From leggings to outwear, the lifestyle brand offers modern silhouettes for activewear and athleisure. For in-store inquiries, use sku #2566438.